Organizational politics (behavioral waste) turns bad ideas into good ideas, and good ideas into bad ideas? Traditional team-building exercises fail to correct illogical thinking and eliminate organizational politics, while kaizen succeeds? We might be more successful advancing Lean if we got executive assistants to tell the boss to practice Lean every day? The eighth waste, the waste of unused human talent, is a symptom and not the root cause? Business in a crisis does Lean, and government in a crisis does Keynes? Lean doves, who think a little Lean is too much, still manage to control Lean hawks, who think there is not enough Lean? A sushi chef could obsess over continuous improvement more than Fortune 500 CEOs? Seductive Fifty Shades of REAL Lean would be? True believers still seek economies of scale, and end up overproducing and creating microeconomic recessions? Six sigma makes Lean management, itself a huge challenge, even more difficult? Blaming people for problems and intolerance for dissent expands information inventories? The “Respect for People” principle encodes non-zero-sum (win-win) thinking into every corner of Lean management? 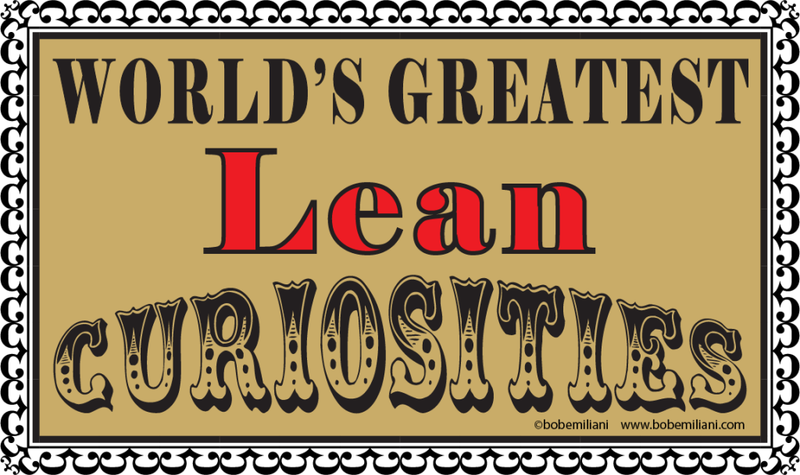 The entire Lean playbook is now public knowledge, yet few leaders are fully committed to it and do it well? Top business schools remain relevant when they insist on teaching conventional management? Economists still think batch-and-queue is superior to flow?